Estimators, technicians, owners and insurers unfamiliar with riveting operations should check out a helpful primer contained within Ford’s latest On Target newsletter. The fall 2018 edition explains why an OEM might want collision repairers to rivet-bond their aluminum parts with a combination of a fastener and adhesive rather than pull out a welder. 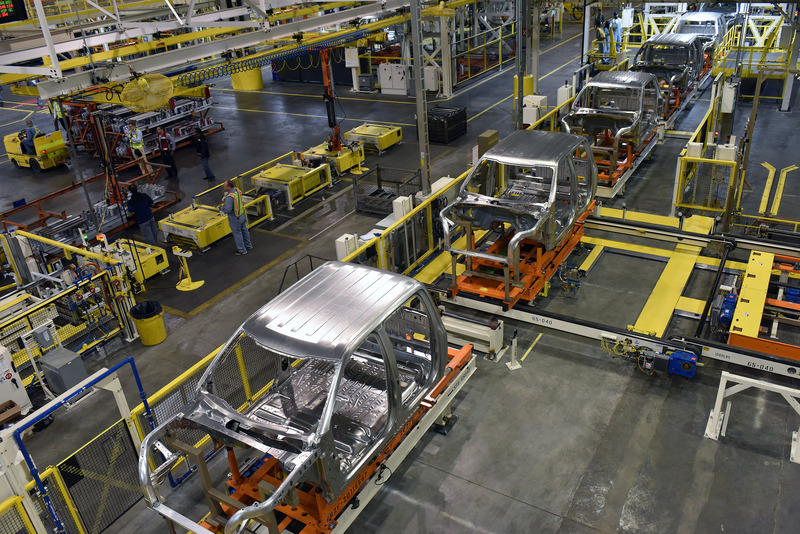 According to Ford, spot-welding aluminum is difficult for an OEM, and it can’t be done in the aftermarket. “Aluminum welding requires highly specialized weld units and procedures (pre-heating and post-heating), along with a slow cool down, that make it unfeasible for the average repair shop,” Ford wrote. This is an important reminder to follow the OEM repair procedures, even when those instructions call for a method different than the factory’s. Ford might be able to spot-weld aluminum, but your shop can’t — and your attempting to do so might harm the metal and yield an unsafe repair. Besides, Auto/Steel Partnership research has demonstrated that a combination of rivet and adhesive can bond two pieces of ultra-high-strength steel better than a factory spot weld. Ford explained in On Topic that aluminum welding needs triple the power of steel, can make the metal brittle and can be compromised (insufficient penetration) by the oxide layer quickly arising on aluminum. Rivet-bonding avoids those heat complications and creates too tight a fit for corrosion to occur, according to On Target. On Target also provided reader-friendly explanations on the differences between pull-style, self-piercing and flow-form rivets. It helps drive home Ford’s assertion that rivets aren’t necessarily interchangeable, and often neither are riveting tools. 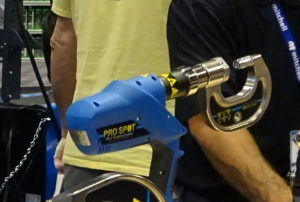 “For the most part, each type of rivet requires its own installation tooling. If the proper tooling is not used, the workpiece could be distorted, or not enough clamping force will be delivered to successfully install the rivet,” Ford wrote. Using the exact adhesive required by the OEM in the joint also matters, according to Ford. Learn more with the OEM’s On Target here. Another article in the On Target reveals a couple of interesting pieces of rivet-bonding trivia related to the installation of a new roof on a 2015-18 aluminum F-150. Refer to the official Ford OEM repair procedures when doing any actual repair work, of course.